We take pride in introducing ourselves as one of the sterling manufacturers, wholesale suppliers and exporters of a wide range of lidding film, which is extremely used for PE containers. Impeccably manufactured from easy to tear material, these lidding films are up to the standards. 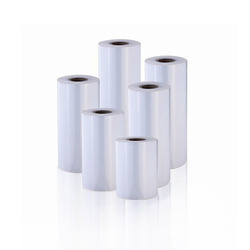 We offer easy peelable lidding film at competitive prices. We are a trustworthy organisation in offering a wide gamut of Peelable Lidding Film. Looking for Lidding Film ?